The Coral Sea Foundation, a member of Superyacht Australia and the Superyacht Group Great Barrier Reefhas been nominated for the prestigious ‘ Ocean Tribute Award‘ in the Society category for their ‘Sea Women of Melanesia’ training program and their work supporting communities and creating marine reserves in Papua New Guinea. The Prince Albert Foundation, the German Ocean Foundation and boot Dusseldorf launched the Ocean Tribute Awards in 2017. They are awarded to the most innovative and sustainable ideas in the field of maritime conservation with three award categories of Society, Science and Industry. The awards will be presented by the Prince Albert II of Monaco Foundation and the German Ocean Foundation on January 21, 2019. 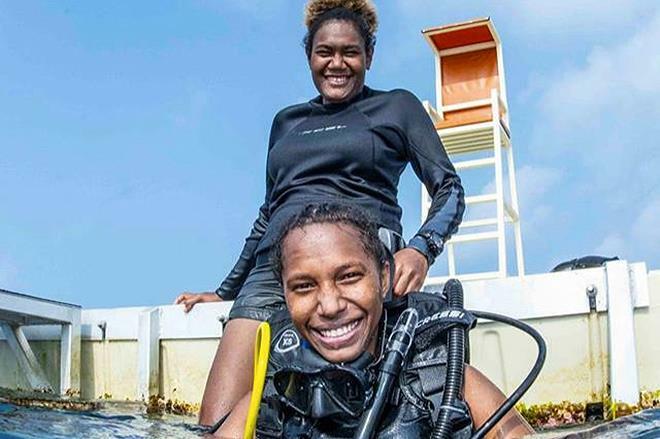 The ‘Sea Women of Melanesia’ training program aims to select intelligent and determined young Melanesian women and train them in conservation theory, scuba diving and marine biology survey techniques so they acquire the skills to communicate the need for marine reserves to their local communities further allowing them to identify areas suitable for marine protection on their own coral reefs. The boot Dusseldorf 2019 is being held from January 19-27 and showcases some of the world’s leading multihull and superyacht manufacturers.